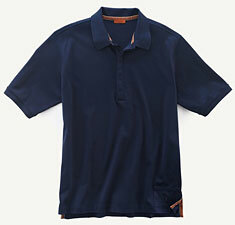 Here’s a grab bag of Father’s Day gift ideas that fit the “gear” category, from shoes and shirts to belts and bags, and even products to get him into shape. And for more great suggestions, be sure to check out the other categories in our annual gift guide. MAONO.com is on a mission to create beautiful, high-quality clothing and then selling online to remove the middle man and make their products more affordable. 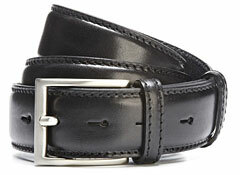 We checked out a black leather belt featuring a rectangular pin buckle that would make for a great gift and offers a classic and elegant design that’s perfect for everyday use. The belt is made in Italy with impeccable craftsmanship, and it offers a great example of the quality and design of this brand. If you’re looking for gifts like accessories or clothing that are classic but stylish, and if you want to stay within your budget, then you should definitely check out MAONO.com. 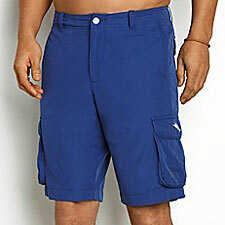 These hybrid swim trunks from Tommy Bahama are perfect for dads who love boating or the water in general. The Hybrid of Paradise 11″ Swim Trunks are unique because you can wear them as swim trunks or regular shorts. They look like a cross between regular clothe shorts and a bathing suit, but the cotton/polyester blended material is very comfortable while also being appropriate for the water. All of the interior pockets are mesh like you would find in a bathing suit, but it has the standard external pockets you would expect from a pair of cargo shorts. The only surprise is that it doesn’t have the mesh underwear portion you would expect from a bathing suit, so that makes them look even more like shorts along with the zipper in the front. The shorts also come in a wide variety of colors. We liked the royal blue pair we had with the yellow logo on the side. With the quick dry fabric these shorts are perfect for boating and beach outings, particularly when you’ll be going back and forth between the water and the bar!